RCAI Leg Orthoses offer a variety of styles and sizes for the treatment of instability, joint stiffness, post knee injury or ligament repairs. 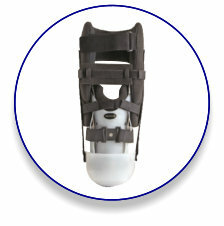 Easy to use bilateral hinges provide static progressive stretch or ROM control therapy. Products include immobilization and drop lock features. Pediatric and Bariatric sizes now available.